English Victorian’s seem to have invented everything, whether this is true is debatable, but what we can say for sure is that they were mad on sport. Historian Christopher Hill described it as the ‘World Turned Upside Down’ – the period when the UK moved from an agrarian economy to being one of manufacture and the ‘Industrial Revolution’ led to a huge shift in how many Britain’s lived and spent their time. Tony Collins of De Montfort University in Leicester said of this: “Britain… was the first nation to become an industrial, capitalist economy where people had disposable income”. 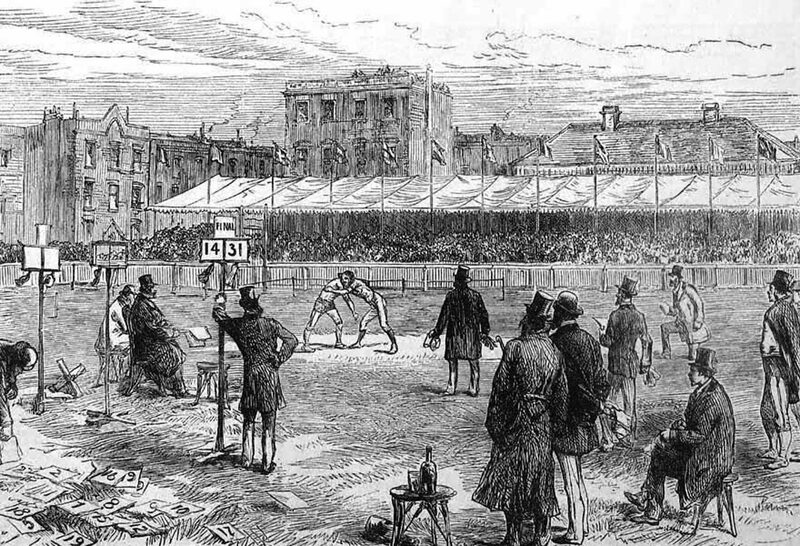 “There was the wealth to generate both an interest in sports and also markets for sports.” In others words the Victorians were very much about the ‘dash for cash’ in sport and every aspect of society. Collins also makes another important point about the Victorian’s and sport: “Although most countries have variations of folk tradition sports, which can range from hitting a ball with a bat through to mob forms of football through to maypole dancing – traditions that are very rooted in rural, agricultural lifestyles – Britain was the first place to develop what we would see today as codified, organised and commercialised sports”. The money making aspect of sport as Collins outlines, worked in tandem with the growth of leisure time activities, the period thus saw an increase in theatre ticket and newspaper sales and the building of sports stadiums by Victorian entrepreneurs. These Victorian entrepreneurs saw that there was money to be made from the bicycle, which from the mid-19th Century had become within the reach of many Britain’s. Additionally the bicycle had made a greater number of people more mobile, previously mobility had been governed by how many miles you could walk in a day, the cost of keeping a horse or the price of carriage ticket. With the bicycle people could spread their wings and venture beyond their birth place and yes, visit stadiums. The list of velodromes built between the 1870’s and the turn of the 20th Century is long; this I found out when I mentioned lost tracks on my Facebook page where contributors created links to a number of lost and present tracks (https://www.facebook.com/photo.php?fbid=10154686267603603&set=a.10150094408713603.278608.611548602&type=3&theater). I am now aware of a number of velodromes in the UK, either still in use or defunct and these are listed here https://en.wikipedia.org/wiki/List_of_cycling_tracks_and_velodromes and at http://www.bikecult.com/bikecultbook/sports_velodromes.html. Such was the craze for cycling in Victorian Britain that the ‘Landmark Hotel’ in London had a track on the roof (https://www.landmarklondon.co.uk/en/the-landmark-london-history-1897-1899). An indoor track was built in Westminster, London and can be seen as the most commercial as the ‘Royal Aquarium’ was not only a place for theatre, entertainment and promenading, it also hosted some of the earliest ‘London Six Day’ races and featured races for women (http://sixday.org.uk/html/1896_london.html). A number of velodromes are or were close to my home in central London. 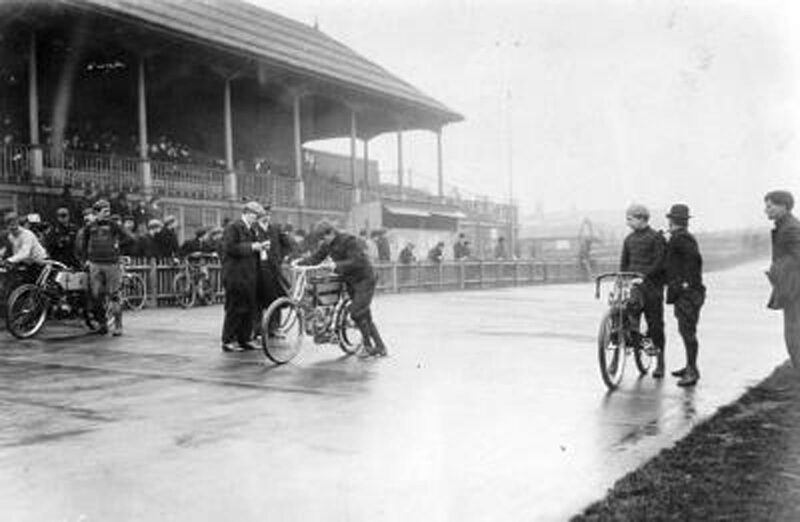 – Herne Hill Velodrome, the home also of the 1948 London Olympic Games is still very much a working track with regular events held almost every week throughout the year. 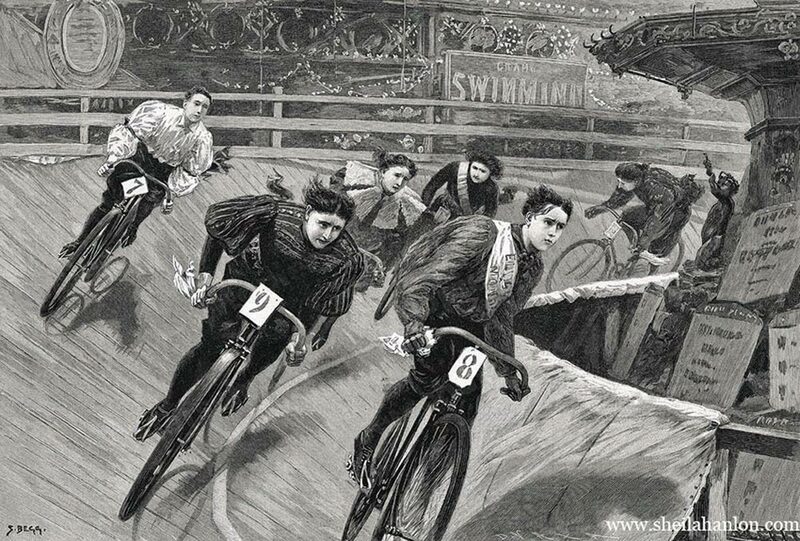 But lost to us are the London venues at Westminster Aquarium indoor velodrome, the outdoor tracks at Lillie Road in West Brompton, Putney (https://www.timeandleisure.co.uk/articles/history/1426-velodrome.html), Oval, Wimbledon, Sheen, Crystal Palace, Catford (https://runner500.wordpress.com/2016/07/13/catfords-long-lost-cycling-stadium/), White City Stadium (1908 Olympic track events held there), Harlow, Paddington (http://www.timetriallingforum.co.uk/index.php?/topic/52700-londons-forgotten-track/) and the Memorial Park in East London (there are more I am sure). Each has a story to tell but a major theme in their closing was that the hoped-for bonanza in profits sought by Victorian entrepreneurs did not materialise and few could resist the option of selling venues for development in a period of great economic growth. 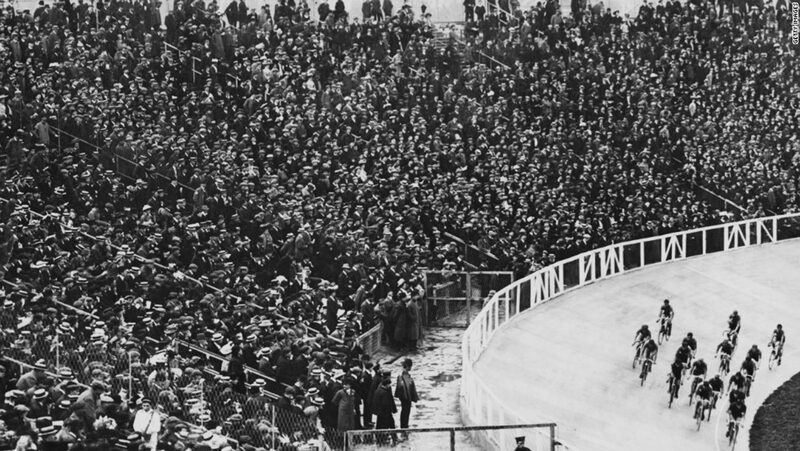 By contrast, the Lillie Road velodrome was closed after a riot during a football match at the shared stadium (it had once hosted the FA Cup) (https://en.wikipedia.org/wiki/Lillie_Bridge_Grounds). 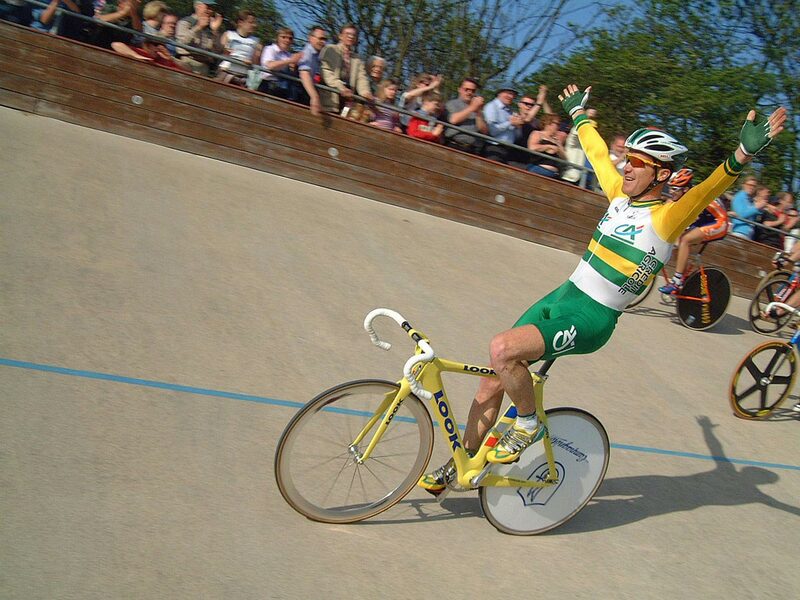 2003 marked the Centenary Good Friday Track Meeting held at Herne Hill Velodrome in London and organised by Graham Bristow on the behalf of the ‘Southern Counties Cycling Union’. The wonderful John Watts celebrated the occasion by publishing ‘The Great Gamble’. In this he describes not only the history of the traditional ‘Good Friday Track meeting’ but he also signposts the tribulations and successes of Britain’s velodrome race history up to 2003. It was a gamble to promote the ‘Good Friday Meeting’ in 1903 at a time when many tracks were closing, but thankfully a huge sell-out crowd set the meeting on its feet from thereon. Since then the event and the Herne Hill Velodrome has survived despite two World Wars, internal cycling politics, television, declining gate receipts, the rise of the car and the side-lining of the bicycle, housing developers and bad weather. The 1948 edition was a massive success and really the last time that it reached the level of the ‘golden period’ of track cycling at Herne Hill or UK track cycling in general. Many of the tracks are completely lost with no sign of what had been there before, but the lost track at Wolverton was at least not totally wiped away by the development that now sits upon it and sections of the banking remain (http://tims92.blogspot.co.uk/2011/03/wolverton-park-if-youre-travelling-on.html). 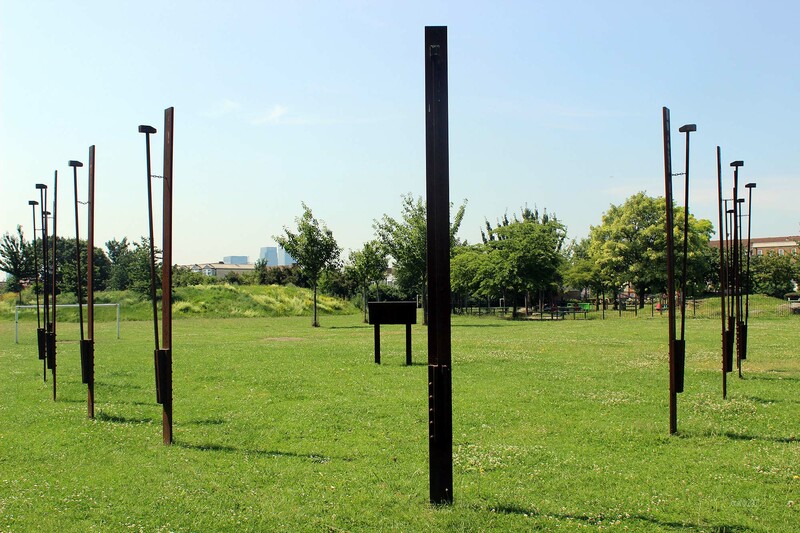 The East London Memorial Park was the idea of ‘Thames Ironworks’ and Shipbuilding Company owner Arnold Hills who was also chairman of the Thames Ironworks Football Club, which had been evicted from their home at Hermit Road. 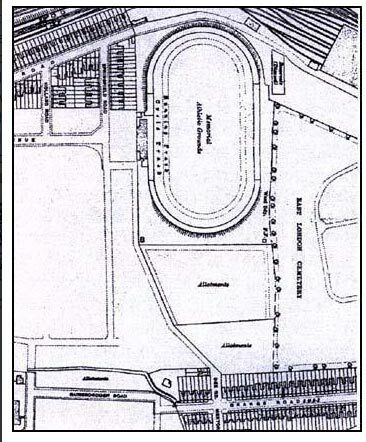 Hills bought land in Plaistow, east London and built a sports stadium that included a football pitch, tennis courts, a swimming pool, running track, velodrome and grandstands. He was not alone as a number of velodromes were also partnered with football clubs. (Crystal Palace FC played at Herne Hill 1914-1918). You may not know the name ‘Thames Ironworks Football Club’ but you may know of West Ham United as they became. They played at the Memorial Ground until 1904 when West Ham moved to the Boleyn Ground (they now play at the Olympic Park at Stratford). The scope of the Memorial Ground was impressive and it was estimated that it could accommodate 100,000 spectators. Hills made a speech where he said of the development that “the largest cycle track in London where they would hold such monster meetings that the attention of the Metropolis would be called to the Thames Ironworks”. (http://spartacus-educational.com/WestHamHistory.htm). Sadly this forecast of spectator numbers for both the velodrome and the football was not regularly met and in 1897 West Ham FC (Ironworks) club secretary wrote: “The support we have received has not been as large as we should wish for, the gates not totalling near the number we might expect and certainly not so many as the quality of the play of our men should warrant.” The writing was on the wall for the venue when in 1904 ‘Hills was reportedly having financial problems and was unwilling to re-negotiate a rental agreement with the Club for the Memorial Grounds’ (https://www.whufc.com/club/history/former-homes/memorial-ground#IuFcDcIVq2OGqUAq.99). West Ham moved to their new Boleyn Ground shortly after. As the East London Memorial Park looks today – the south end of the track is just after the fence (on the white line) and the north end is where the red roofed building can be seen. The grandstand and start line are on the left of picture. At the site I at first got excited at what looked like remnants of the old banking sadly it was not so and after consulting maps, satellite pictures and lining up buildings etc. I soon realised that all has gone with most of the north banking now under the East London Rugby Club hard standing and the south lost under all-weather football pitches. Nonetheless it was worth standing there and after a little research I found that Arnold Hills’ ship building business had also been responsible for the ill-fated launch of ‘HMS Albion’ at Bow Creek in 1898 and the victims of this disaster lie in the adjacent East London Cemetery (https://cyclesport.london/i-found-a-velodrome-but-didnt-but-i-did/) – a memorial is situated within the park today. The Victorian velodrome building frenzy petered out at the turn of the 20th century and many had been closed by the start of WW1, but a few remain and even those now covered in housing etc., still have a story to tell. So why have some tracks survived? When ‘money walks’ then it’s all about ‘community’ – Outdoor tracks that come to mind are Welwyn, Herne Hill, Reading and Preston Park, they like other still active outdoor velodromes all have strong cross community support.